Everyone in your family deserves exceptional dental care. That’s why Dr. David Tillman is committed to providing his Fort Worth area patients with family dental care. Every day, we’re helping young children, teenagers, adults, and seniors create healthier, more beautiful smiles through attentive and compassionate service. 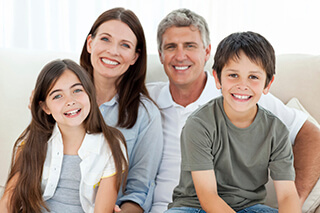 How can your family enjoy a lifetime of good oral health? There are two ways: through daily care at home and through regular checkups with Dr. Tillman. 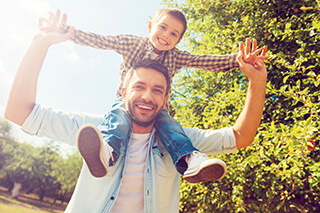 We recommend that you and the rest of your family see us at least twice a year for cleanings and a comprehensive exam. These appointments are important because they give us a chance to assess your teeth and gums for developing issues. Our goal isn’t just to help patients treat common dental problems; we want to prevent them as much as we possibly can. Catching gum disease or tooth decay right as it’s beginning will help us prevent them from becoming more advanced. We promise to treat every member of your family like part of our own family. That means offering truly personalized service for everyone. When you come to us for routine care, we will take the time to familiarize ourselves with your health, your medical history, and your needs. If you need additional service beyond a cleaning, we will only recommend those services that are truly right for you. During a consultation with Dr. Tillman, we will discuss your treatment options and answer any questions you might have about the treatment plan we recommend. We want to equip you to make fully informed choices about your own dental care.